Autoimmune disorders negatively impact our society, with 80-100 million Americans currently suffering,… and many people are searching for natural support. The national institutes for disease control finally acknowledge that most diseases including autoimmune conditions are caused by emotional stress or subconscious trauma,… and these are treatable. Functional Integrative Medicine Practitioners use a variety of modalities and therapies to effectively treat and relieve chronic conditions. 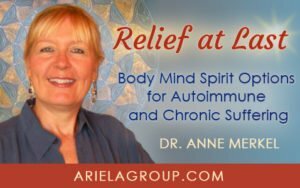 I am Dr. Anne Merkel, a practicing Energy Therapist, Doctor of Naturopathic Medicine, and Certified Gluten Practitioner who offers unique protocol packages to address dis-ease of the mind, emotional body, physical body, and spirit. Join my group of like-minded others suffering and seeking natural relief from similar debilitating illnesses by signing up here for the Autoimmune Coaching Support series – now in its 7th year! When you register for FREE, you’ll receive past recordings and an opportunity to join our live coaching calls offered at least once per quarter. enter site The series is free when you register below, and you also have an opportunity for Personalized Individual Coaching for a small fee. 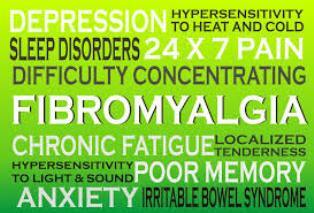 I believe that you CAN re-claim your health and your life after experiencing an autoimmune condition! I spent over a year in bed with debilitating Chronic Fatigue Syndrome and terribly painful Fibromyalgia, and I healed myself naturally. You can too! cialis generico prezzo piu basso For the Group: Our monthly calls are announced by e-mail and posted on my facebook page so that people can schedule and attend. Call recordings are sent out after each call. The benefits of attending the live calls are that the topic will often reflect issues experienced by you, and even though I may be coaching one individual, you will be directed where to focus and how to apply certain EFT or energy therapy techniques. There is always a Q & A session at the end. Feedback from the live participants reports that they often feel they’ve received a private coaching session themselves. source site For the Individual being Coached: These special calls are scheduled whenever one of you chooses to be coached individually on a live call. When you register below I take a history of your case, just as I do for all of my clients. Then I work with you on the live call while the audience gains the “borrowed benefits” in the muted background working on their own issues. acquistare cialis 5 mg generico Sign up here: for personal coaching – We will schedule the call after you have registered – to fit your schedule. The fee for custom coaching on a call with Dr. Anne Merkel is only $100 – a savings of $125 over a regular single session. Those in the live audience can tap along and clear their own issues as they participate in the strong MasterMind energy. They also have the opportunity at the end of the call for sharing questions, thoughts, insights, ideas about autoimmune and their own related situations. viagra generico 200 mg pagamento online a Parma I hope you or someone you know will join us for this Personalized Individual Coaching opportunity on an Autoimmune Support live phone call… personalized, live coaching focused on YOU and YOUR condition! 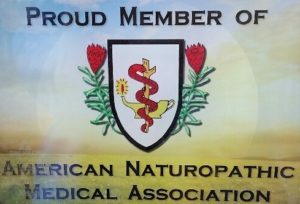 My EFT Radio station on Blogtalk Radio focuses on autoimmune and natural health topics. There are over 35 archived shows already and more coming each week. Even if you don’t suffer from a chronic health disorder you will find topics that can support your EFT self-help practice. Listen to these informative hour-long shows by http://cinziamazzamakeup.com/?x=vardenafil-generico-20-mg-prezzo going here. . .
Feel free to pass this page on to others!